According to this press release, a new Azeri-English translation software, called Dilmanc, has been released, and it already claims 6500 users. From what I know, most commercial MT programs have normally been aimed first at much more widespread languages, to take advantage of the larger translation market for those language combinations. I wonder, though, whether MT translation isn't actually more useful for languages combinations (such as Azeri-English, perhaps?) 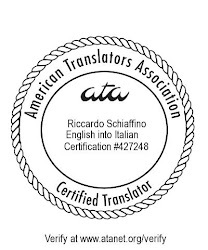 where the number of professional translators available is limited: in such cases it mught be argued that the choice would not be between machine translation and (better) human translation, but between machine translation and no translation at all.